When drivers find themselves in need of repair or routine maintenance service, a stand-up spot to come on down to is Rivertown Toyota. Not only is our service center culled from the latest technology and design patterns, but all work is handled by trusted and friendly professionals. 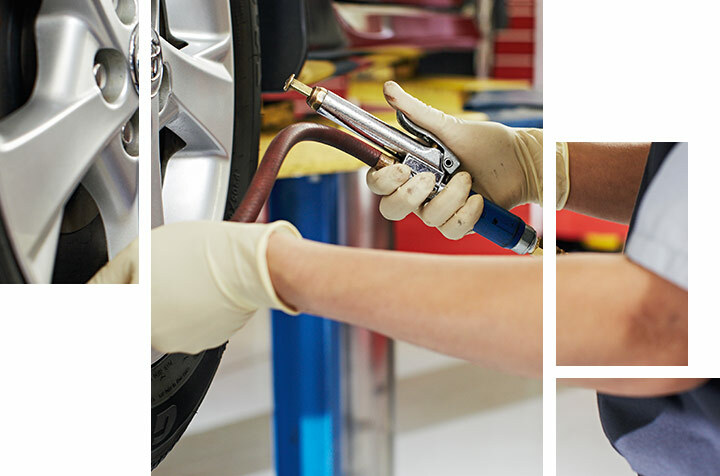 Whether it's something as simple as a routine oil change or more extensive body or engine repair, Rivertown Toyota's service center has got you covered. Plus, we're located in the heart of the Rivertown Auto Mall, which opens a whole new set of doors. Read more about that in the next section. 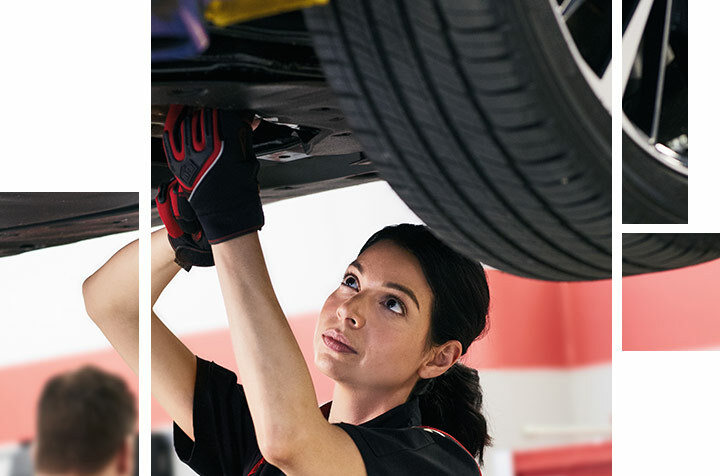 To expound on the range of services provided at the Rivertown Toyota Service Center, our professional team deals with engines and transmissions, brakes, tires, alignment matters, diagnostic issues and so much more. In short, if your vehicle needs some care, the Rivertown Toyota Service Center is your 1-stop shop. Whether you're coming from Columbus, GA; LaGrange, GA or Auburn-Opelika, AL, call or visit us in person today. We regularly feature specials for all types of parts and services. As you know, good, clean oil is the heart and soul of your vehicle. 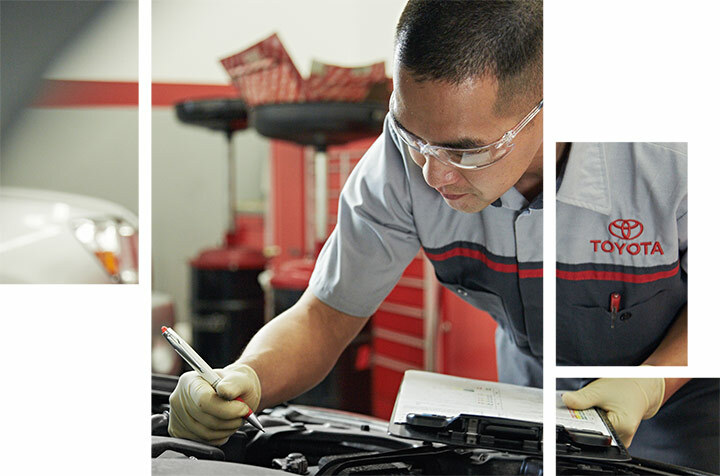 Whether you drive a Toyota or not, we encourage you to be mindful of those regular check-ups. With clean oil, you can extend the life of your car for years. 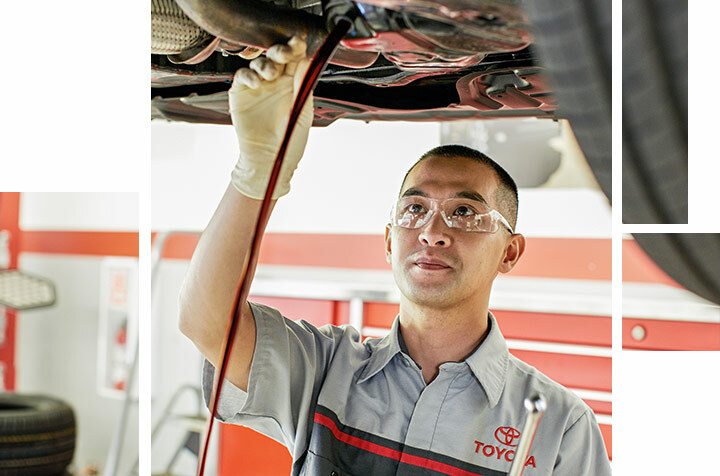 At Rivertown Toyota's service center, our first-class staff is committed to keeping your car running like new. Whether it's high-mileage oil, full synthetic oil or a synthetic blend, we're pouring and cleaning it all. Visit us today to get started or stay started with a service center that makes a positive difference for every driving experience. Rivertown Auto Mall in Columbus is the pot of gold at the end of the rainbow for those looking for a new, Certified Pre-Owned or other used vehicle. Located in the 1600 block of Whittlesey Road in Columbus, GA, the Rivertown Auto Mall has 4 dealerships all in 1 location, including Rivertown Toyota, Rivertown Subaru, Rivertown Buick GMC, and Rivertown Ford. Plus, it features the Rivertown Collision Center of Columbus! Don't bother zig-zagging all over town. You can make the car-shopping experience so much easier by exploring countless new and used vehicles of all makes and models in 1 location. Rivertown Auto Mall is also home to Rivertown Toyota's service center, home for all the parts and auto repair services you may need. Arguably the most important element of safety on any vehicle are good, trustworthy brakes. Like anything, the brakes on your car need to be routinely checked. At Rivertown Toyota's service center, we'll give thorough attention to brake pads, rotors, and calipers. If necessary, we also offer brake replacement. Don't wait until those irritating squeaks and squeals turn into something bigger and more serious. Stay on top of the health of your brakes by trusting the professionals at Rivertown Toyota's service center. Of all Columbus, GA car dealerships, Rivertown Toyota is the one driver's trust for all their automotive needs. In many ways, your vehicle's battery is the heart of the operation. Without life to a battery, there's no life to your vehicle. At Rivertown Toyota's service center, another way in which we help keep more drivers charged is through our service to your battery. Sometimes, all it needs is to be properly diagnosed and charged, while other times, a replacement is necessary. Don't rely on luck with the life of your vehicle's battery. Like all parts of your car, truck or SUV, it needs periodic attention and maintenance. If you visit us in person or online, you will likely find one of our many specials that will pertain to the service or replacement of your battery. Without good tires, no driver is going to make it very far, if anywhere. However, tires are only good for so many miles, so it's important to stay on top of what your car stays on top of - its tires. At Rivertown Toyota's service center, we will inspect your tires and provide any necessary repair or replacement. Regardless of which car, truck or SUV you drive, be sure to keep an eye out on specials. We regularly feature great deals on various services and parts, including tires. Visit us today to get started on quality tire service. A great way to extend the life of your wheels and keep your vehicle properly aligned is by having the wheels regularly rotated. Life and longevity begin with basic maintenance. Don't run the risk of getting into dangerous situations on the road due to neglected wheels. Visit Rivertown Toyota's service center today for complete tire service, including properly aligning your wheels. Regardless of where your journey takes you, stay the course with good, properly aligned tires.